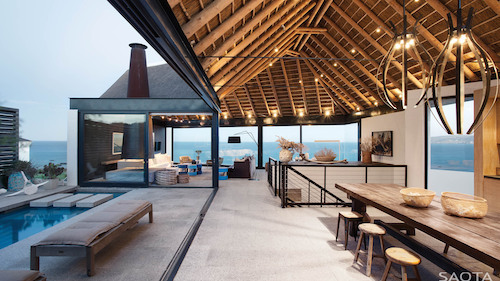 This holiday home at St Helena’s Bay in South Africa is the very picture of relaxation. But actually the site presented a challenge: view to the front, but sun from the back. 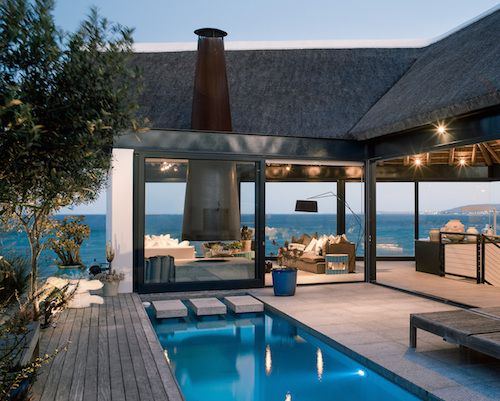 Because of the prevailing winds, architectural firm SAOTA placed the pool on the sheltered side. 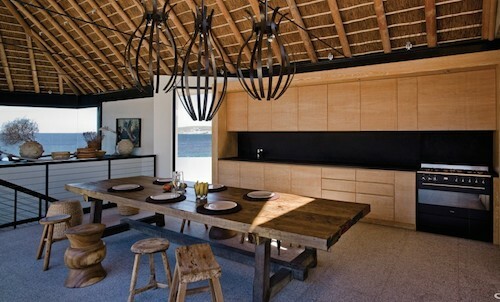 You enter the casual family vacation home on the second floor beside the pool. 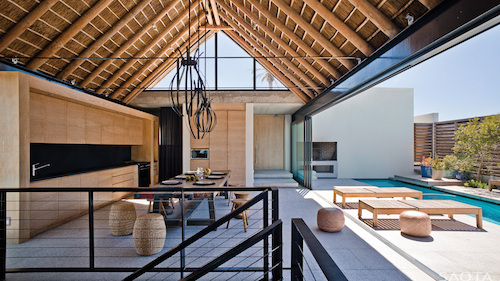 The generous al fresco kitchen alongside the pool is roofed in traditional South African thatching that extends in an L shape to the living room. 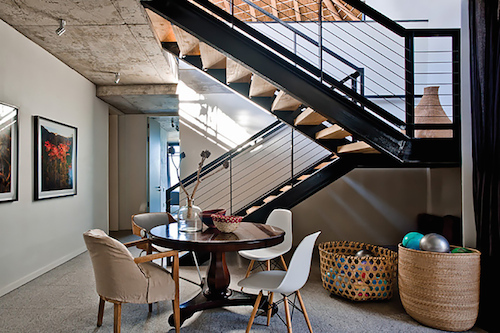 Stairs next to the ample kitchen – love the way black disappears the business end! – lead down to the bedrooms below. Downstairs there is another cosy family hangout for rainy days. 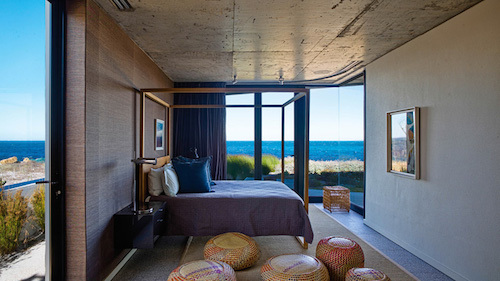 Then leading off the downstairs are everyone’s bedrooms, all with views of the enticing ocean. 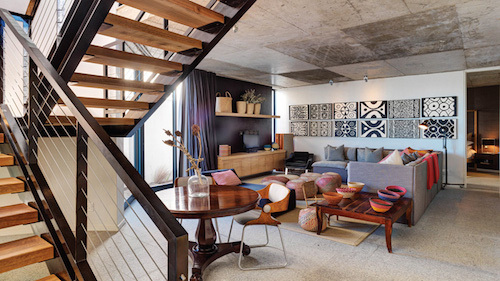 A friendly holiday home for a young family to be shared by an extended circle of friends. 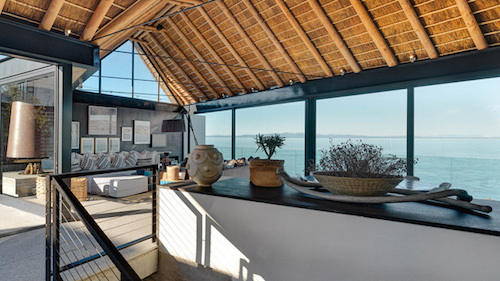 This entry was posted on Thursday, January 24th, 2019 by Susan Kraemer and is filed under Architecture. You can follow any responses to this entry through the RSS 2.0 feed. You can leave a comment.